This book discusses the rich and varied culture of China's online society, and its impact on offline China. It argues that the internet in China is a separate 'space' in which individuals and institutions emerge and interact. While offline and online spaces are connected and influence each other, the Chinese internet is more than merely a technological or media extension of offline Chinese society. 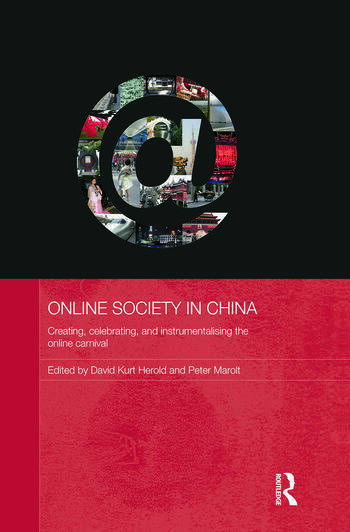 Instead of following existing studies by locating online China in offline society, the contributors in this book discuss the carnival of the Chinese internet on its own terms. Examining the complex relationship between government officials and the people using the Internet in China, this book demonstrates that culture is highly influential in how technology is used. Discussing a wide range of different activities, the contributors examine what Chinese people actually do on the internet, and how their actions can be interpreted within the online society they are creating. David Kurt Herold is a Lecturer for Sociology in the Department for Applied Social Sciences (APSS) at the Hong Kong Polytechnic University. Peter Marolt is a Research Fellow at the Asia Research Institute, National University of Singapore.